I had the fortune of shooting director Peter Cornwell. He directed Hemlock Grove, episodes 3 & 6, Season 2 (live now on Netflix). Peter gained notoriety for his award winning stop motion short, Ward 13, and went on to direct the feature film, Haunting in Connecticut. Recently, Peter directed the short, Batman Evolution, garnering over half a million YouTube views. We shot in a shaded space of historic Angelus-Rosedale cemetery, in Los Angeles, CA, where many of Hollywood's early legends are buried, including Tod Browning (1880-1962), movie director and screenwriter known as "The Master of the Macabre." We took in an old 8mm film projector, which Peter idly threaded while I set up. 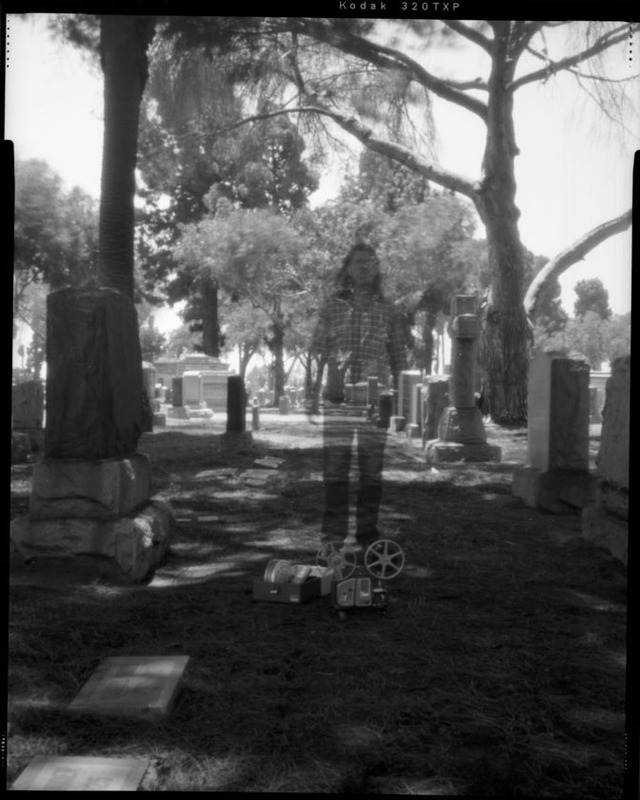 During the long exposures we were able to move him and he becomes a ghost as he joins the space, paying a bit of respect to the greats that lie in Angelus-Rosedale. In the final image on the main section of my site, he sits, sort of as homage with a projector aimed at the back of the nearest headstone, readying to watch a film – maybe it's one of theirs.